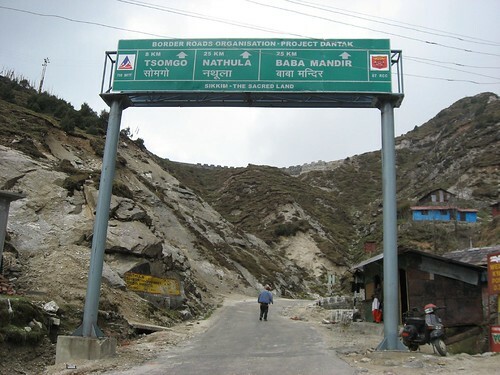 After having experienced the roads of this region firsthand, I can fully appreciate this comment of Mr. Jairam Ramesh about the infrastructure on the Indian side leading up to Nathul La pass. Our infrastructure is pathetic compared to facilities on the Chinese side and the list of items too is severely restricted.. If India is serious about trade with China (which it should) through Nathu La then it must pay serious attention to the infrastructure of this region and improve it big time. 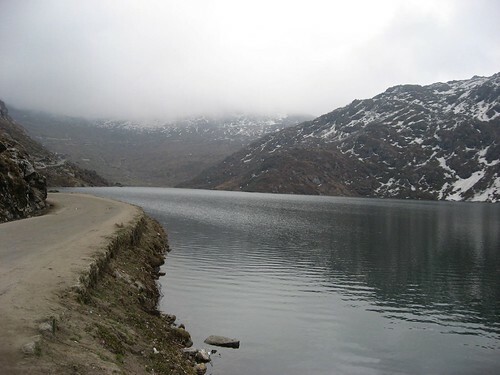 We went up till Tsomgo lake which is on the only road leading up to Nathu La. I wonder how India can do trade through border with China big time without really improving the infrastructure first. The trek on the Maruti Omni was an adventure in itself and scary at times. We had to pass weak and temporary bridges to get to Tsomgo lake which is just 17 kms from Nathu La. Kyangnosla pit stop, about 8 kms from the lake. 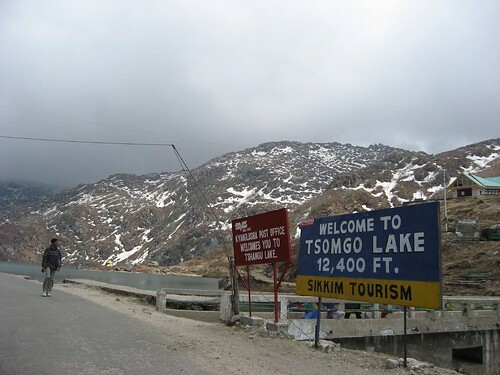 Entire Sikkim and Tsomgo lake in particular are restricted areas and require special permit to enter, which is not difficult to come by. Our travel agent took care of the the permit for us. Actually, I wanted to go to Nathu La and Baba Mandir, but these places require additional permits which takes few days to obtain. However we didn't go further up to due to inclement weather at Tsomgo lake even by 1300 hours. We didn't want to take a chance by climbing up further, even though our driver assured to take care of the permit stuff. 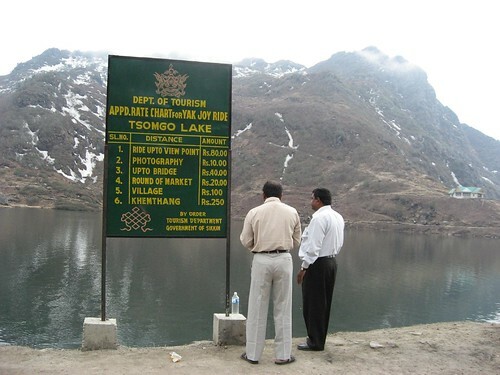 Tsomgo Lake.. was beautiful and serene. 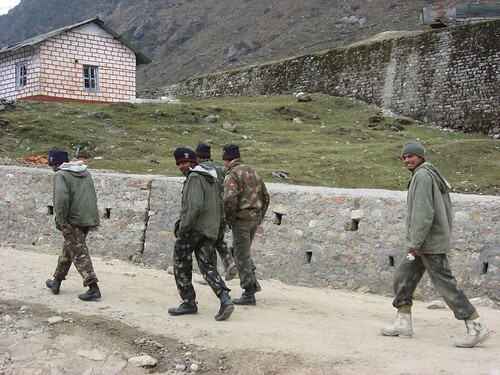 Gangtok and the road leading up to Tsomgo Lake had lot of defense establishments. In fact, I got to talk to few of the guys stationed here. They were very approachable and were easy to talk to. 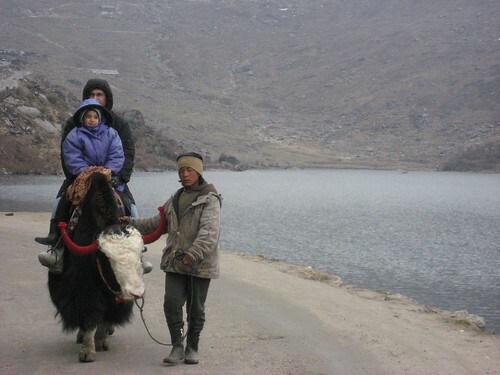 Enjoying Yak ride at Tsomgo Lake.. pretty much the only amusement around here.. and they don't come cheap. A short 5+ minute ride costs INR 80 per person. 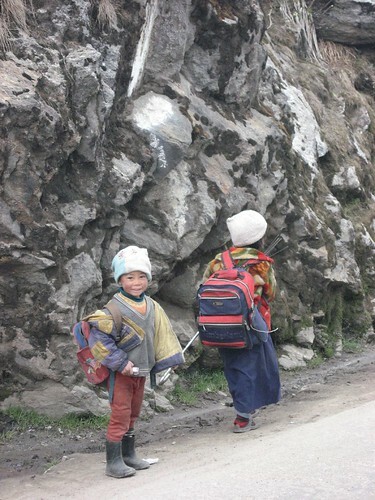 Local kids returning from school.. wonder where the school is at 12000+ ft.
Short video of our trip to Tsomgo Lake. Tsomgo lake and the mountains look like Sierra Nevada. At 7000 ft Nevada has still snow. Enjoy the scenic view, peace, and tranquility of nature.